Herbs and spices make a great sausage. Place all ingredients in a glass bowl and with your hands mix until all the seasonings are combined evenly amongst the meat. Roll into approx. 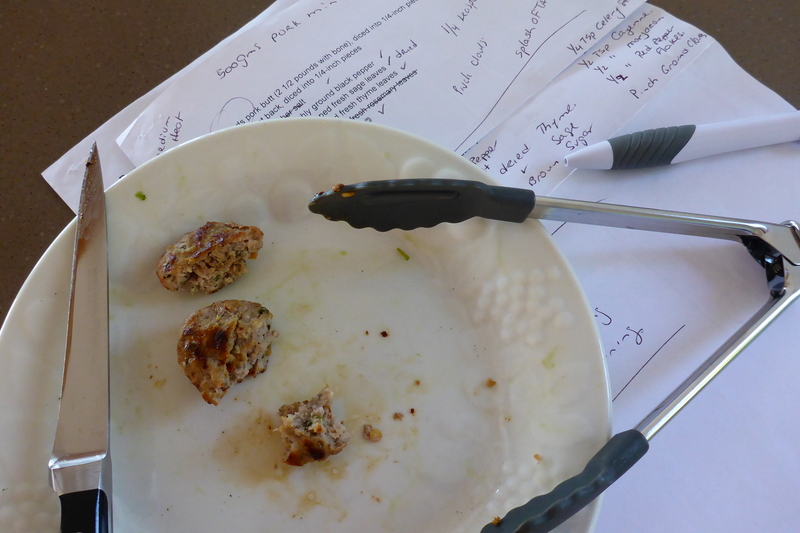 8 balls (depending on the size you would like the sausage patties to be) then flatten to make into a patty shape. Heat a medium sized fry pan on a medium heat. 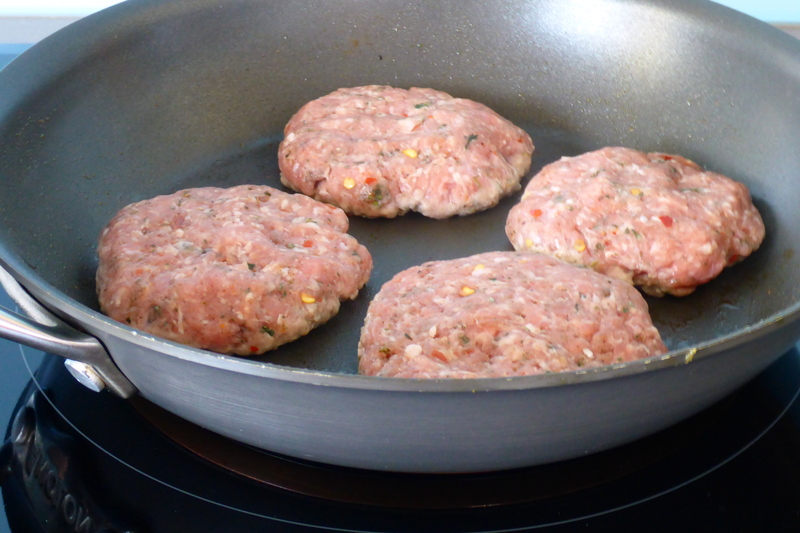 Place the patties evenly spaced into the pan and cook approx. 5 minutes on each side, until browned and golden. Fry in a pan over medium heat. 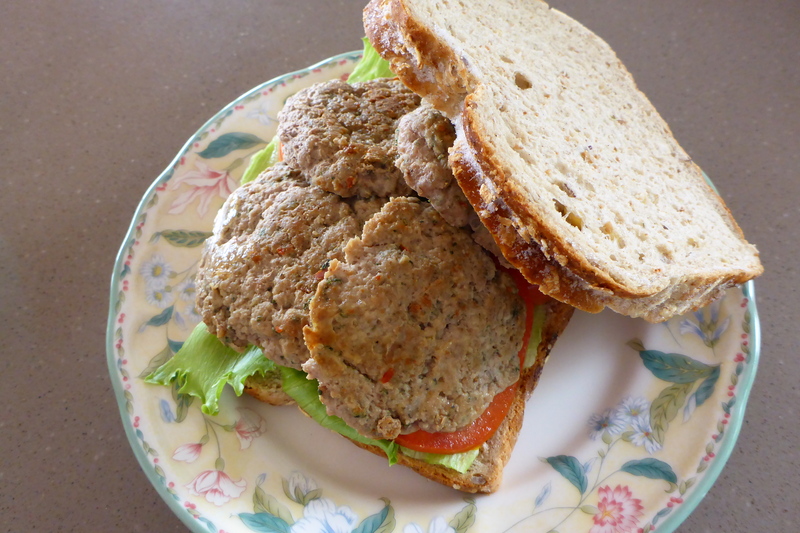 Serve with eggs and any other breakfast accompaniments or on bread as a sandwich with lettuce and tomato. You can double the recipe quite easily but doubling the amounts. 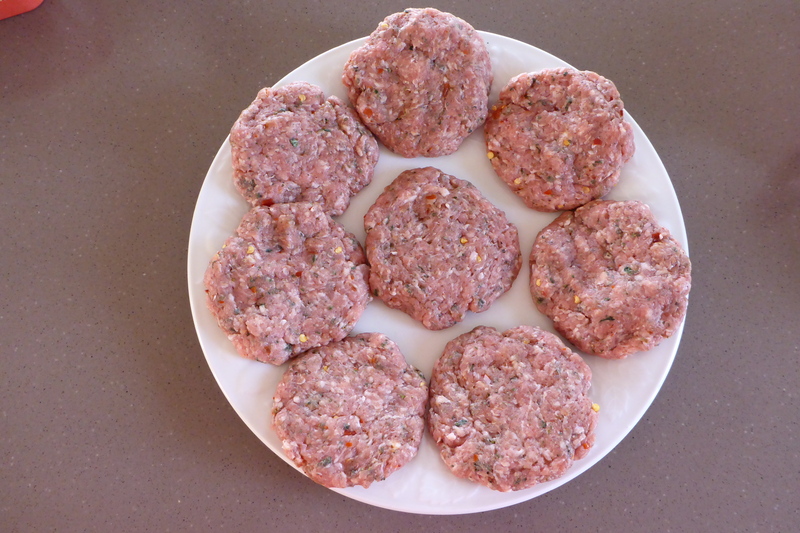 You can also make a big batch and freeze the patties uncooked until required. Make sure when freezing you lay the patties on a tray, cover with cling wrap and freeze before placing in a container or plastic bag. This is so they won’t stick together, making it easier to take out the amount you need. Testing and trying to get it right! I love my sausage a bit spicy but if you prefer them a bit tamer don’t use the Tabasco. 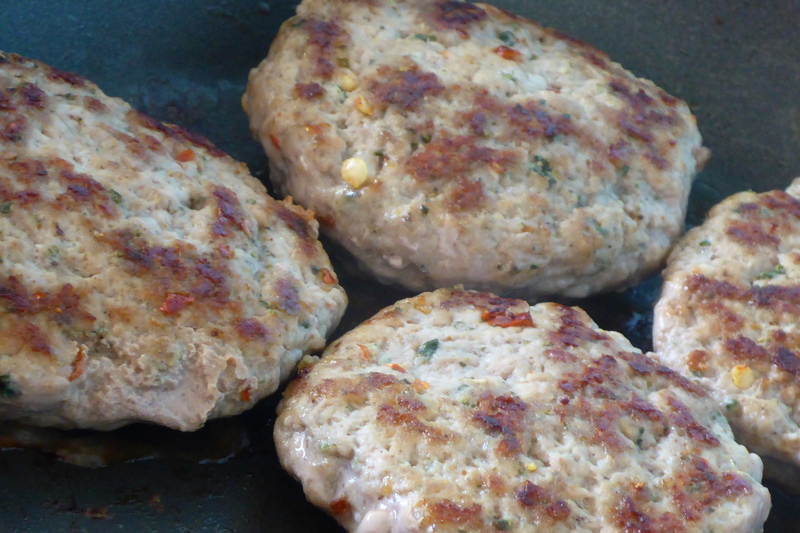 Pork can easily overcook and dry out so keep an eye on the patties when cooking to make sure you don’t overcook them. Looking good and browning nicely. This entry was posted in Home, Recipes, Savoury (Main Meals) and tagged American, Breakfast, Food, herbs, Pork, Sandwich, Sausage, Spices. Bookmark the permalink. I hope Karen has seen this, we have some made from a packaged mix we get from the states, this could be better. They are very yummy Vince. Better than the store bought sausages we used to get in the US. And if your like me an extra bit of chilli never goes astray! I love trying something new for breakfast, and these look great! 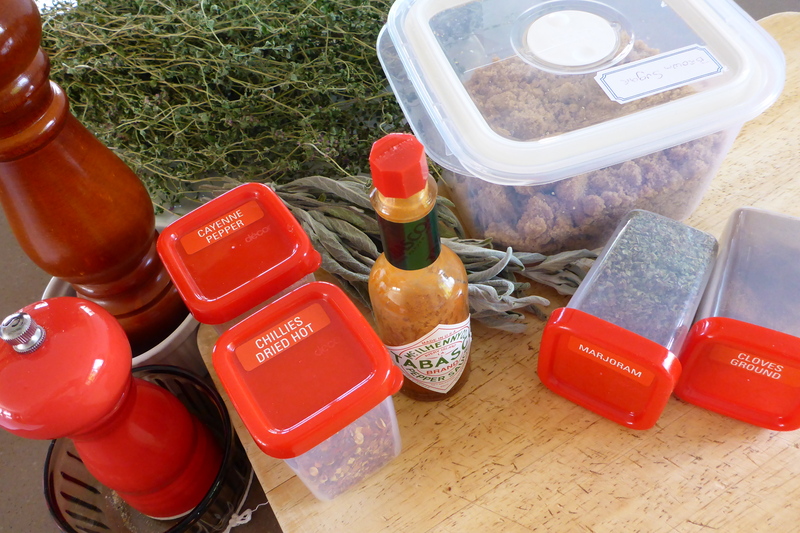 They are very nice, very easy and you can adjust the seasoning to your taste. And they make a great sandwich too! Yes that would be good. 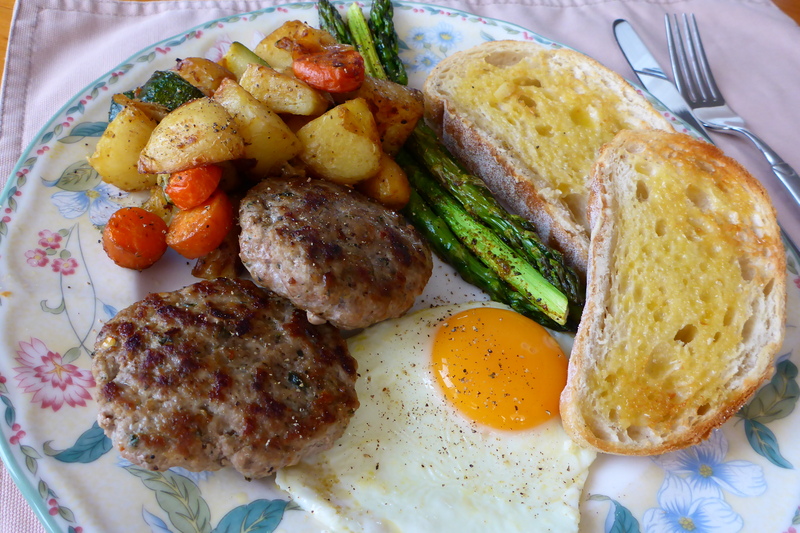 We often have a breakfast meal for dinner so we aren’t so rushed! Always tastes nice.